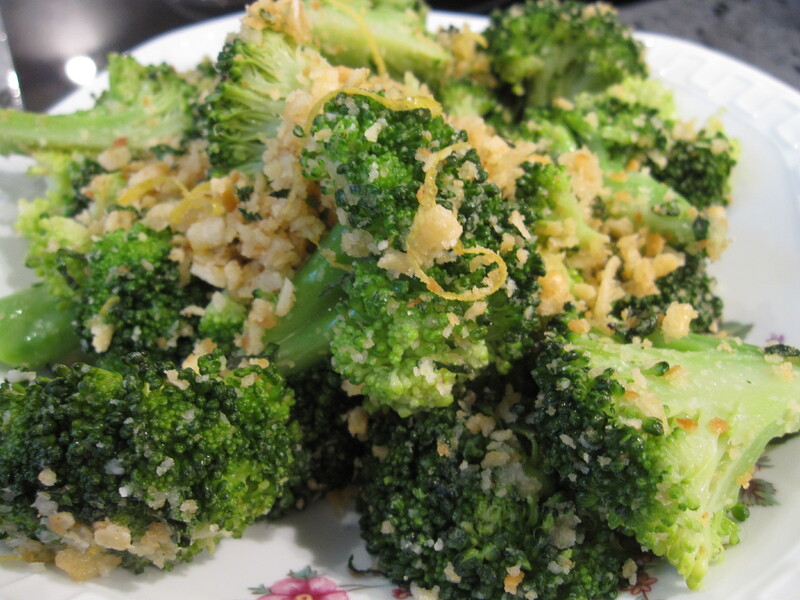 Toss together blanched broccoli, thinly sliced garlic, red pepper flakes, and a small amount of olive oil and roast in a very hot oven for 5 to 10 minutes, until the broccoli starts to get brown and caramely around the edges. This is by no means a blow-you-away recipe, heck it’s barely a recipe, but it is a simple and tasty everday side, and one that I turn to again and again. So I was curious to try out one of the previously completed French Fridays with Dorie recipes, Garliky Crumb Coated Broccoli, which received rave reviews from my fellow FFwDers. 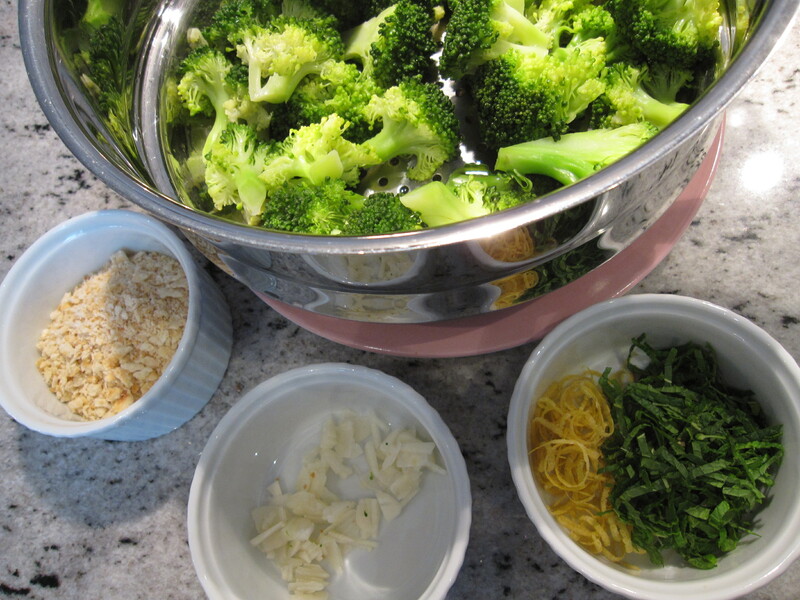 Dorie’s recipe calls for garlic and bread crumbs to be toasted in a pan before throwing in blanched broccoli and fresh herbs. It didn’t take any more time or effort than my usual recipe and, in addition to being delicious, I felt that Dorie’s preparation classed it up a bit. And while it had a bit too much fat in it to make frequent appearances, it is a great way to dress up broccoli for company or a special occasion. This entry was posted in french fridays with dorie and tagged Around my French Table, side dish, vegetarian. Bookmark the permalink. We loved this one as well! Your recipe also sounds delicious and perfect when you want the flavor, but not the fat. I feel like I did something wrong with this one, because we really didn’t like it, even though every one else did. Oh well. Glad it was a hit for you! I was a big underwhelmed myself with this recipe. But, it is a nice way to change up steamed broccoli! I thought these were a great way to change it up! glad you liked it too!